The competing concerns of writing what you feel while keeping your audience in mind is a tough balancing act, one that is further complicated by trying to get published. Racking up rejections while fellow writers get accepted left and right creates self-doubt and can cause you to question your instinct. Should you abandon your vision and write in more popular genres? Seek out more timely topics? Or maybe give up writing all together and take up hurling? While these options seem viable at 2:00 in the morning, take a few minutes to at least consider Brian Setzer’s approach. Back in the late 70s, Brian Setzer and pre-Stray Cats buddies, drummer Slim Jim Phantom and bassist Lee Rocker, were nearly defeated by a serious lack of audience. But instead of changing their sound to mimic more popular genres like the short-lived Glam Punk movement or the ubiquitous (but decidedly uncharacteristic) Heavy Metal trend, the group sold their instruments for three one-way tickets to London and tried their luck abroad. It was at this time that they picked up the name, Stray Cats, for indeed, that was what they were. Very soon, Setzer and crew caught the attention of British record producer, Dave Edmonds, who facilitated the release of a number of successful singles and, eventually, two albums. The band’s dedication to rockabilly, which countered the U.K’s punk-saturated music scene at the time, lead to their increased popularity not only in the UK but in America as well. Though they disbanded only a few years later, Setzer, with his characteristic rockabilly hairdo, has remained active and dedicated to his musical styling and is still making rockabilly music today. Brian Setzer’s approach is an apt example of how far artistic perseverance and an open-mind can go toward defining and expanding audience while also being true to one’s vision. Moving to the U.K. definitely spurred Setzer’s career just when he needed it, but you don’t have to bear the expense and uncertainty of leaving the country just to find and broaden an audience (unless you want to). Even the relatively small transition of changing jobs or moving to a new neighborhood can serve as an opportunity to reach out to new people, and so can simply expanding the definition of your audience, as Setzer did. If you write memoirs about gardening, for example, join a local permaculture group or volunteer for a horticulture society. Not only will you gain writing ideas and topics, but you will find people interested in the kinds of things you write about. With a little luck, they’ll even tell their friends. Or, use social media to find groups, individuals, and associations whose focus is in line with your non-writer interests and become open to the conversations you experience there. If you write poems that center on music, connect with other music lovers and musicians. If your short stories contain socio-political concerns, have a steam-punk theme, or wallow in pop culture, find markets where readers, not writers, of these genres will see your work. Reputable blogs, too, can help broaden your audience and, even though a little off the beaten path, can be worth the investment of an article or essay. Finally, watch for cultures that are oversaturated and ready for a change of pace. Maybe those members of the horticulture group you joined are sick of reading about seed saving and are ready for a little steam-punk horror action. Above all, remember to shine wherever you are, regardless of how brightly those around you shimmer. You are where you are; why not make the most of it? 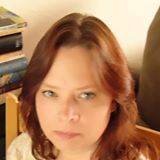 Lisa Hase-Jackson holds a Master’s Degree in English from Kansas State University and is pursuing an MFA at Converse College in Spartanburg, S.C. She is a poet, teacher, freelance writer, writing coach, and editor of two poetry blogs, ZingaraPoet.net and 200 New Mexico Poems. Recently, her poems have appeared, or are forthcoming, in such literary magazines as Sugar Mule, Kansas City Voices, Pilgrimage, and As/Us Journal. She serves as Review Editor for South85 Journal.